Editor’s Note: The Tasty Spoon is closing at the end of January 2019. Just in time for hot summer days, The Tasty Spoon, a traditional Italian gelateria, opened on South 1st Street a few weeks back. 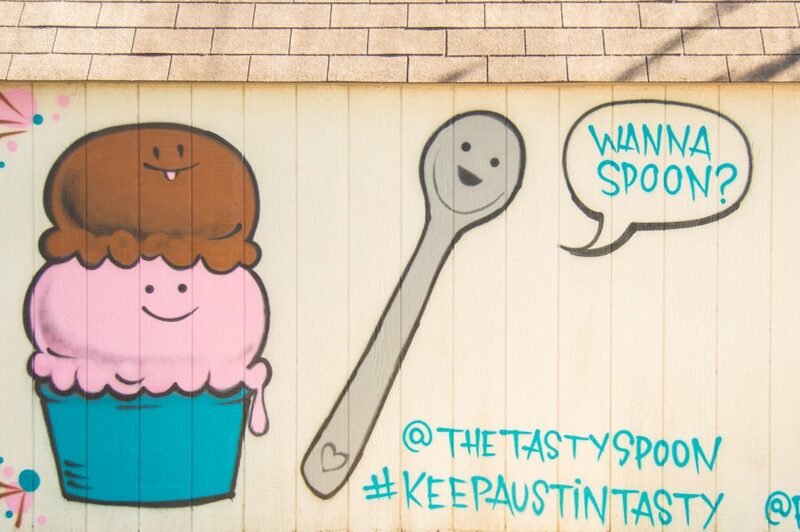 And if cooling down with delicious treats isn’t good enough, they also brought a fun new mural to Austin that is bound to become a hit on your Instagram. Following classic Italian techniques and using only the freshest natural ingredients, Ashley MacDonald creates magic in the kitchen of her shop. 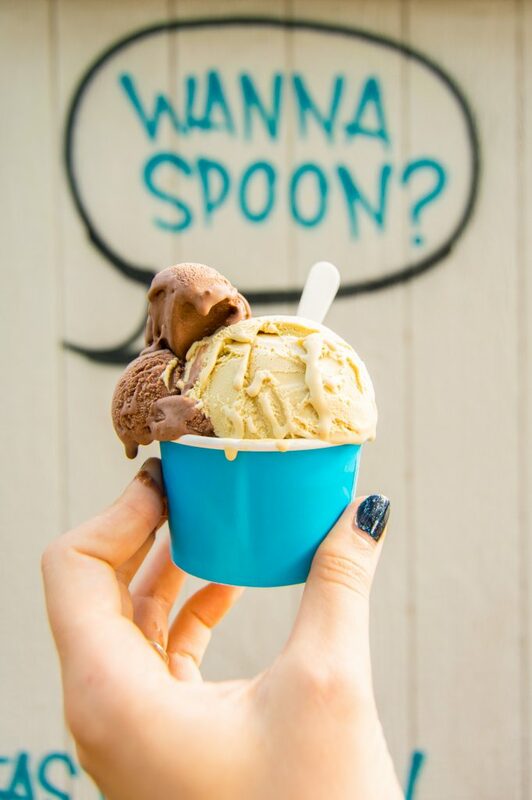 From traditional chocolate peanut butter, pistachio, and coffee, to seasonal lavender honey and basil lime sorbet, each flavor is well thought-through and tested to achieve perfection. At the time, she lived in New York and worked in fashion public relations. Life in the big city and strenuous work made her stop at one point and ask herself, “If I didn’t have to worry about money, what would I do?” The answer: make gelato. Studying under the guidance of the best gelato masters in the world gave her knowledge of basic techniques. Over the course of the next two years, MacDonald moved to Austin and perfected the skills in her own kitchen. While the techniques used in The Tasty Spoon kitchen are traditionally Italian, the ingredients are mostly sourced locally. Milk comes from a dairy farm in Waco. Lavender for the lavender honey flavor is supplied by Hill Country Lavender in Blanco. Some ingredients, like the highest quality pistachio paste, are imported from Italy. Others, like Valrhona chocolate, considered one of the best brands of chocolate in the world, is sourced from France. Gelato is made in small batches to ensure customers always get the freshest product. MacDonald explains that it takes only five days before the texture of gelato starts changing. Although it doesn’t spoil, she prefers to serve the freshest gelato possible and never keeps it longer than four days. 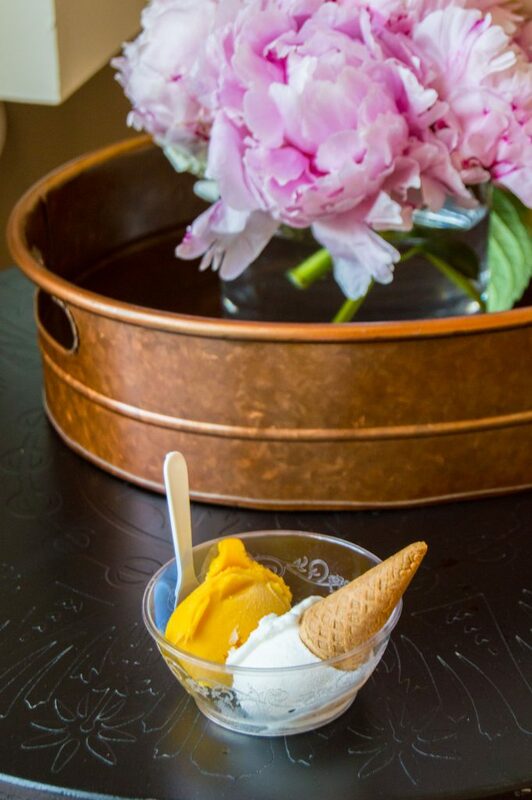 The new gelateria on South 1st Street boasts incredibly creamy, dairy-free flavors, like dark chocolate and almond rose, as well as a variety of sorbets like strawberry, mango peach, and lemon. 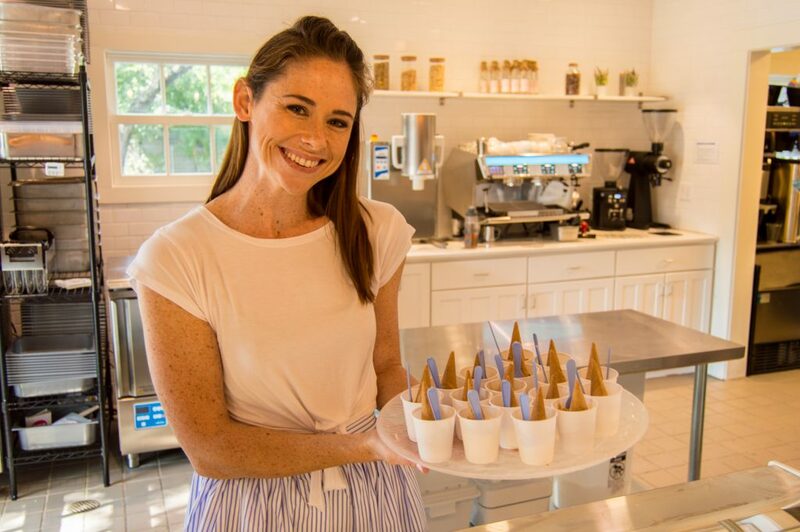 MacDonald is also working on developing a sugar-free line of gelato, to ensure that those who are intolerant to certain ingredients can find a treat at her shop. While the focus of The Tasty Spoon is on gelato and coffee, MacDonald is planning to obtain a wine and beer license that will make hanging out in the spacious backyard of the shop even more enjoyable. For all the dog-lovers out there: the backyard is pet friendly. One of the rooms in the gelateria will be turned into a high tea room and decorated with MacDonald’s personal collection of spoons from around the world, gifted to her by friends and family to encourage her idea of opening a gelateria. What gelato flavor is your favorite?